A Doctor Cartoon drawing made in a modern flat style. This drawing is available for free download and it comes in a vector format. 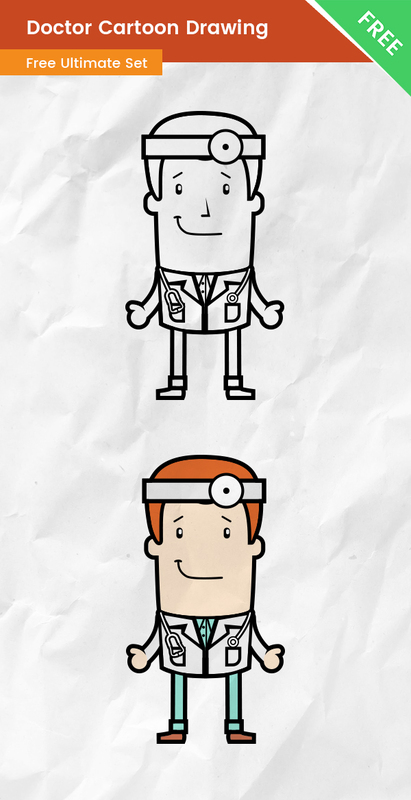 This cute cartoon doctor is made in a linear drawn (or outline) style. This medical character will definitely grab the attention of your audience. This male doctor is made in modern colors and shapes. He is perfect for web-based projects and he can be a great addition to any banner or flyer project. This Doctor is available in a colored and a black-and-white version both of which are available for free download.